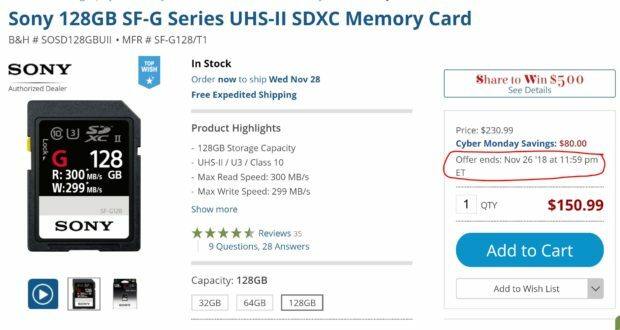 The world’s fastest Sony SF-G UHS-II SD memory cards now get price dropped at this Cyber Monday 2018. 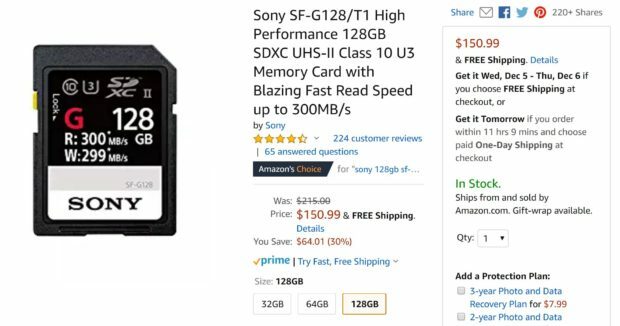 You can save up to 30% off on these fastest cards at Amazon/B&H Photo Video/Adorama. All these deals will be expired tonight midnight, so order today before deals are expired. Previous Previous post: Ending Tonight: Sony Cyber Monday Deals Up to $1,000 Off !